Lake George is as splendid today as when Thomas Jefferson described it as "...without comparison, the most beautiful water I ever saw." Maybe that explains its reputation as a vacation mecca that has long withstood the fleeting fame of an ‘it’ destination. Quite simply, Lake George proves that life on the lake is the best kind of life indeed. Lake George isn’t a place that puts on airs about what it has to offer. The omnipresence of the 32-mile “Queen of the American Lakes,’ with its 109 miles of shoreline and 300 + islands would make that hard to do. 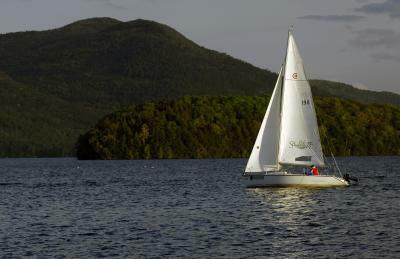 But it is this gloriously simplified pursuit of a perfect day on the water where Lake George shines. Between the historical significance of the area and the outpouring of outdoor adventures waiting in the surrounding Adirondacks, it wouldn’t be hard to pack your days here. Still, you might not want to, save a day spent on a boat or hanging beachside. And that’s perfectly okay, too. Lake George may be known as one of the most pristine lakes in the U.S., but the view gets even better from the water. See for yourself with the Lake George Steamboat Company, celebrating its 200th anniversary in 2017, these historic cruises have revealed the panorama of mountains, beaches, inlets and islands of Lake George for centuries. Hop aboard an old-timey steamboat or shoreline cruiser for brunch, lunch, dinner, drinks and maybe even a fireworks show. If you thought you needed a flight to Fiji to sleep under the stars on a secluded island, think again. 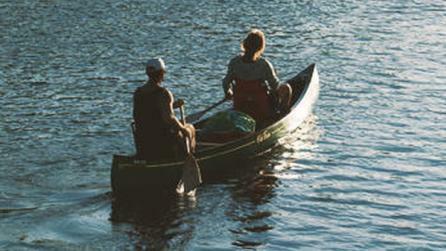 Lake George is home to 44 state-owned islands with 387 campsites that are accessible via canoe or boat. If you’re looking for more than an afternoon of blissful solitude, you can rent a spot for as little as $18 a night. Long before Lake George was synonymous with slow, languid days on the lake, it was a major player in U.S. history. During the French and Indian War, major (and horrific) battles were fought right along the water, and are today memorialized in forts, museums, and public parks. From the monuments and sculptures littered throughout the 35-acre Battlefield Park to the ghost stories told in a whisper at Fort William Henry, the historical gleanings are plentiful--and thrilling--whether you’re seven or 72. You might be surprised to hear that the #1 rated hotel in Lake George on Trip Advisor is actually a motel. Still, when you count up the amenities at Americas Best Value Inn & Suites, it isn’t surprising. Clean, New England-style rooms, with additional townhouses tailored to families and groups? Check. A prime location to the beach and a short walk from town? You bet. A heated indoor-outdoor pool, jacuzzi, picnic area, and playground? It’s all here. Best of all, the inn is reasonably priced. Like you needed another excuse to keep coming back. New York is a go big or go home state, whether you’ve set your sights on one of the world’s most cosmopolitan cities or a park that’s bigger than Yosemite, Yellowstone, Glacier, Grand Canyon and the Great Smokies National Parks combined. So it’s only fitting that when New Yorkers look to have some family-friendly fun, they pull out all the stops. Enter Great Escape and Splashwater Kingdom in Lake George. 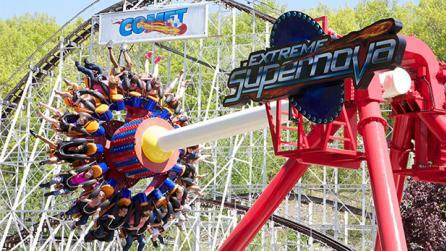 It’s New York’s largest amusement park--by a longshot. Think 135+ rides, games, concerts and events ranging from the Northeast’s first inverting virtual reality rollercoaster to a 500,000 gallon wave pool. In between you’ll find something for everyone, whether you’re traveling with the tiniest of tots or are just a (big) kid at heart yourself. Any parent knows that half the battle when it comes to dining out isn’t just planning for what’s on the menu, but making sure that’s after it’s tossed aside by a child in 3.5 seconds, there’s enough going on to keep their interest. That’s where Moose Tooth Grill has an upper hand, with a playful Rainforest-themed decor, self-playing pianos and tvs. They also have homemade root beer and s’mores that you can roast tableside. • With its many islands and shorelines connecting to verdant, wooded hills, Lake George is something else from above. 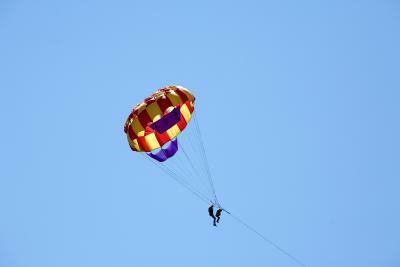 Find out for yourself with Parasailing Adventures and soar high in the sky over Lake George. A friendly, seasoned crew will take you and your clan out on a boat and set you up to enjoy the spectacular views from above. Anyone six and up can give it a go, and if you’re looking to rope in a friend, the boat can accommodate two to three riders at the same time. In the afternoon, hike to the waterfalls at Shelving Rock Falls. It’s an easy trek with a wide, former carriage road that makes it perfect for groups and less experienced hikers. With a camera in tow, bring a picnic lunch and enjoy some grub at the pool of the falls. 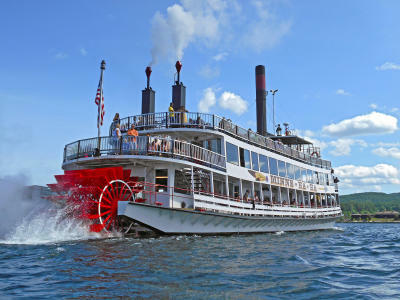 At the end of the day, literally and figuratively transport yourself into a bygone era with a cruise on one of Lake George’s famous shoreliners. From sleek yachts to authentic paddlewheelers, there are dozens of options to enjoy the setting sun on the water. A (shore) bet: dinner and drinks onboard. 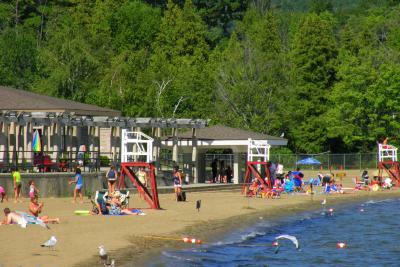 • There aren’t slim pickings when it comes to beaches in Lake George--so much so that it can be hard to know where to start. 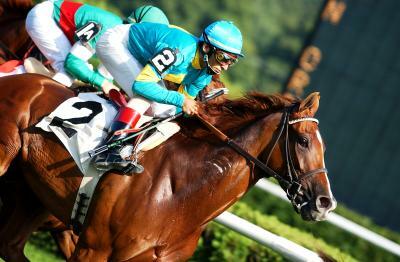 A tried and true favorite is the aptly named Million Dollar Beach. Clean, wide, and with a roped-off swimming area, it’s the perfect landing spot for a day waterside on Lake George. Plus, with lifeguards on hand, it’s a top pick for families with young swimmers. • Whenever you grow tired of lounging on the beach (or you might not. That’s okay, too) head out to explore the 32 miles of Lake George by boat. There are plenty of rental options in-town, whether you’re looking for a low-key, family friendly pontoon or a high speed nautical ride. You can also stock up on equipment for wakeboarding or water skiing, or grab fishing gear. At night, head to Saltwater Cowboy for a well-deserved lobster roll. 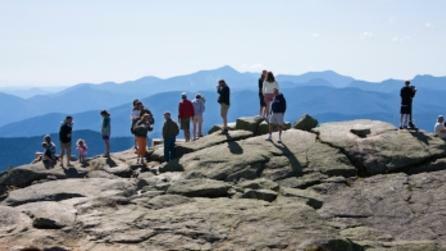 • Start your day with an 100-mile vista atop Prospect Mountain, one of Lake George’s iconic peaks. The summit can be tackled on two legs or in four wheels, depending on how much of a sweat you’re hoping to break. Hikers can expect about three hours round trip. You can also park and take the kid-adored tram ride to the top. 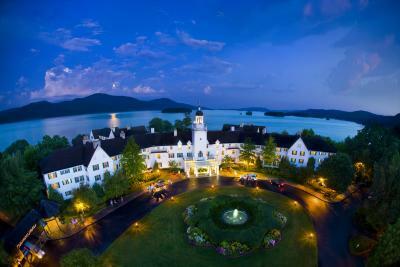 Either way, the reward is uncontested: Sweeping views of Lake George and the lush foothills of the Adirondacks. However you’re getting there, make sure to snap a few photos. Even the mental kind will do. • Whether you’re breathless from the incline or the views, a glass of wine at Adirondack Winery is a refreshing post-Prospect reward. 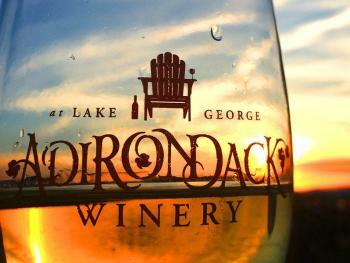 Family-owned by a wife-husband duo, this Lake George favorite features a tasting room with dozens of varieties, including popular fruit-infused wines. Should a 2 ounce pour not suffice, they have plenty of bottles on site for purchase, and they even ship nationally. • Even if you’re prone to dozing off at historical museums, you’d be hard-pressed to snooze through a visit to Fort William Henry. Modeled after the British fort that was destroyed on-site during the French and Indian war, Fort William Henry is an interactive living museum that will enthrall everyone in your camp. If you’re traveling with kids, they’ll be recruited and trained as soldiers--even given uniforms, muskets and a certificate after their complete their drills. For an added dose of adrenaline, opt to tour the grounds at night through a candlelit ghost tour and hear battleground stories handed down generations. 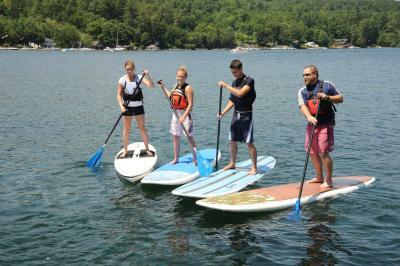 • In the afternoon, beeline back to the lake for a leisurely paddleboard, kayak, or tube float on the water. After, grab a table on the patio at Stone Manor Restaurant for some crab cakes, drinks, and killer views of the lake. 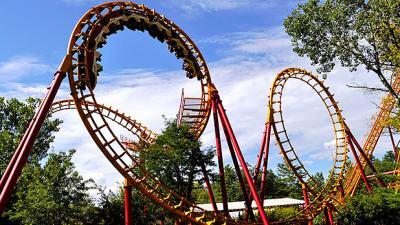 • For a bird&apos;s-eye view of Lake George and the Adirondacks, take an off-roader up to Eagle Flyer. 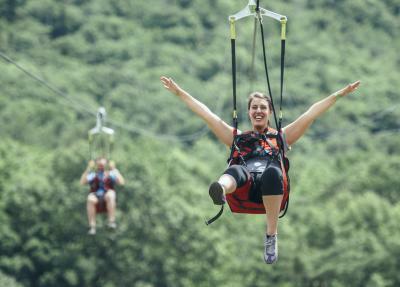 Situated at the top of French Mountain, it’s one of the newest pulse-pounding additions to Lake George--and one of the longest zip rides in the country. Think an 1,000-ft vertical drop, speeds careering towards 50 mph, and your toes dangling 125 above the forest floor for ¾’s of a mile. If you’re traveling with a group, feel free to add a little playful competition with a race, as there are four side-by-side ziplines. • After, indulge a round of greens at one of Golf Digest&apos;s 5 Best Golf Resorts in the Northeast, the Lake George Golf Course at The Sagamore. Designed by Donald Ross, this course maximizes the beauty of the region around every bend. Whether or not your play your best round there’s always a cocktail waiting at Caldwells in The Sagamore lobby. 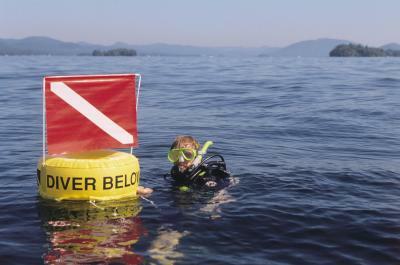 • Plunge into the day by scuba diving on Lake George with Halfmoon Marine. Whether you’re newly certified or a seasoned diver, life under the lake proves fascinating--especially for the history buffs in your group. Explore historic wrecks dating back centuries, including submerged historic hotel sites. You can also expect to see island walls and reefs teeming with trout and landlocked salmon. • In the afternoon, pay a visit to The Hyde Collection Art Museum and Historic House, a historic home and art museum whose small but mighty art collection is one of the best between Manhattan and Montreal. The museum is brimming with work from masters like Rembrandt and Degas, along with contemporary artists. 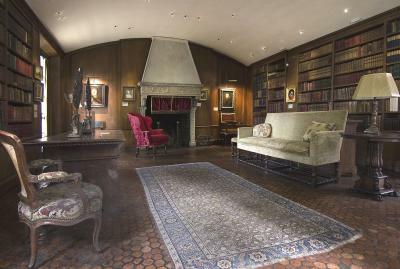 Still, it’s the art’s residence in a storied historic home that really makes it a two-for-one treasure, as you’re just as likely to stumble across a rare book in the library or spot beautiful period-era furnishings as you are a Picasso in the gallery. • Take the short drive from Lake George Village to Fort Ticonderoga. 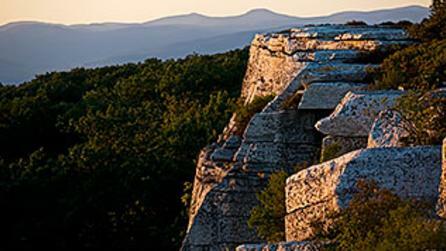 This National Historic Landmark has been a destination for tourists since the 19th century, thanks to its strategic importance in both the French and Indian War and later, the American Revolutionary War. Though the original fort didn’t survive the battles, a painstaking reconstruction that started back in 1909 means you and your crew can experience a day in the life of a soldier from a bygone era. Whether you want to catch a reenactment or tour the King&apos;s Garden, this hands-on living museum has plenty to offer for history buffs of all ages and interests. Later, grab a sturdy pair of shoes, water, and snacks for the trek up Buck Mountain. This moderately challenging trail rewards climbers with its sweeping views of Lake George and the Adirondacks. Plan for at least a few hours, but bank on the views being worth the effort. At night, head to Lake George Village to catch the town’s weekly fireworks show above the lake. • Take a day trip to nearby Saratoga Springs, a historic Adirondacks town famous for its therapeutic mineral waters and race track. 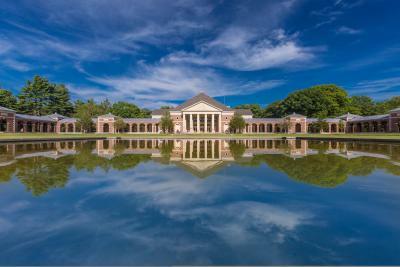 • Start off with a visit to Saratoga Spa State Park, a 2300-acre National Historic Landmark home to everything from an acclaimed performing arts center to an auto museum and championship golf course. The sprawling grounds, complete with neoclassical, stately complexes, are best known as the home of Roosevelt Bath House, named after the New York Governor and US President, Franklin Roosevelt, who had the smarts to preserve this land from future development. With its storied history (Indian tribes frequented “the place of magic waters”) and a string of famous visitors (Napoleon’s brother, the king of Spain), the springs are the only naturally carbonated pools east of the Rockies. Bring a suit, and if you’re feeling like indulging, book a spa service. • After, pay a visit to what Sports Illustrated has called one of the world’s greatest sporting venues of all time: Saratoga Race Course. Though the track is over 150 years old, the energy and excitement of catching a race first-hand is still as palpable as it was when the sport was at the height of its popularity. Amp up your #summerfridays with Taste NY craft brew tastings on site. $5 will score you five samples, and you can also catch some live bands playing as you enjoy your local beer. • At night, take in the ambiance of downtown Saratoga Springs with a stroll down Broadway, which is dotted with boutique shops, restaurants, and bars. 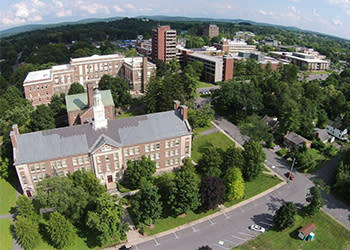 Thanks to the nearby Skidmore College, Saratoga Springs has the warmth of a bustling, yet still laid back college town. 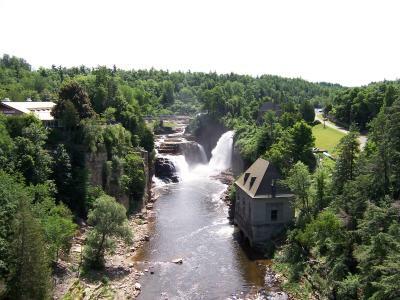 • Nicknamed the Grand Canyon of the Adirondacks, Ausable Chasm is a sandstone river valley gorge pocketed with stunning waterfalls--and low-level trails to enjoy the view. As the oldest natural attraction in the US, not only can you catch a glimpse of fossils and remnants from eons ago, but you can also see trails and markers from brave souls that adventured into the canyon hundreds of years ago. Descend deep into the canyon for a unique mile walk against the sandstone, and then float back on a lazy river tour. Or, if you’re looking to amp up the adrenaline, try your hand walking cable bridges, climbing under cargo nets and along cliffs edges with a professional guide. • At night, grab dinner and drinks at the Boathouse Restaurant. As its name suggests, the waterfront restaurant has private docking right on the lake, should you want to arrive in high style. If not, simply kick back and watch the cruise-liners pass by with a cold drink in hand. • As its name tends to suggest, the Adirondack Extreme Adventure Course is a spirited obstacle course that will raise the eyebrows of even seasoned adrenaline-junkies. 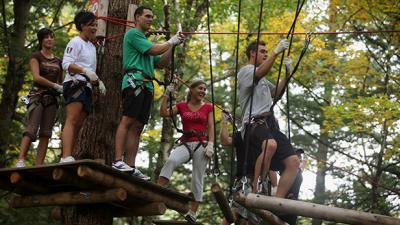 Set some 60 feet into the canopy above the Adirondack forest, the adventure course features everything from wobbly bridges to zip lines, nets and Tarzan swings. Grab a GoPro and prove to your friends once and for all that you could’ve made the cut for one of those extreme obstacle reality shows. • For surviving (and admit it, actually enjoying) a rough n’ tumble day in the adventure course, head over to Adirondack Pub & Brewery for a pint. This family-friendly pub has a wide range of comfort-food menu options, plus hand-crafted beers that are brewed on site. You can even tour the brewery after your meal. One of the most poorly kept--and gloriously cost-effective--secrets to lodging in Lake George involves a canopy of open air on one of the lake’s signature islands. There are almost 400 campsites sprinkled among the 170 publicly-owned islands. Some campgrounds are massive and feel like a big friendly party, accommodating up to 90 campsites. Others have a remote, even blissfully desolate feel, housing just two or three campsites. Whether you’re looking to host 40 of your closest friends or chasing after some real solitude, camping on the Lake George Islands are a must. Lake George is dotted with quaint, comfortable motels that put you at arm’s reach of all the restaurants, bars and activities in the area. Best of all, most are exceedingly family-friendly and even offer rooms, suites and cottages that accommodate groups, should you be traveling with an extended crew. From the Heritage of Lake George Motel to Lake Motel, you&apos;ll find family-owned, well-kept and affordable lodging. 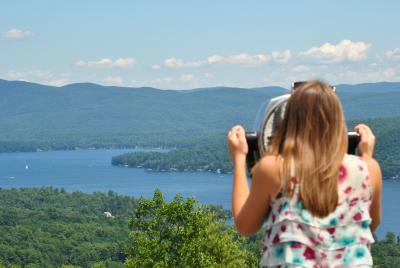 For a blissful and easy family stay in Lake George, check out the Holiday Inn Resort Lake George. 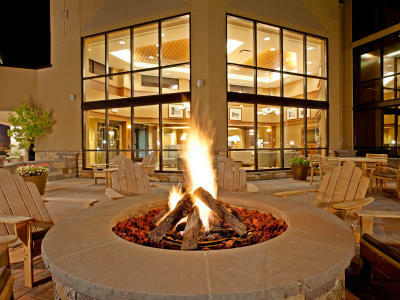 Newly renovated, this Tripadvisor favorite is a short hike to the village, and beloved for its outdoor fire pit and variety of kids’ activities. They also score highly thanks to their kids’-eating-and-staying-free policy. Looking to unwind in Lake George for more than a day or two? The Blue Lagoon Resort is a great bet. These charming lakeside cottages vary from motel efficiencies to 2-3 bedrooms and rent by the week, making them perfect for a family-friendly getaway. Tucked along a 200 ft. sandy beach with its own boat dock, the Blue Lagoon Resort also offers barbecue and picnic areas, a playground for kids, and kayaks, rowboats and canoes to explore the water. 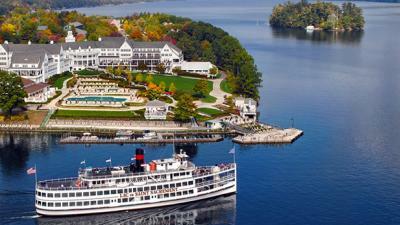 Take a well-heeled step into the past at the glamorous, historic Sagamore Resort. The grand Victorian architecture hints at what it might have been like to vacation here among the 1880’s elite--yet you won’t struggle to find contemporary comforts at one of Travel & Leisure 2015 World’s Best Hotels. Think one of New York’s best public greens, sumptuous spa treatments, award-winning restaurants and a 95,000 gallon pool overlooking the lake. 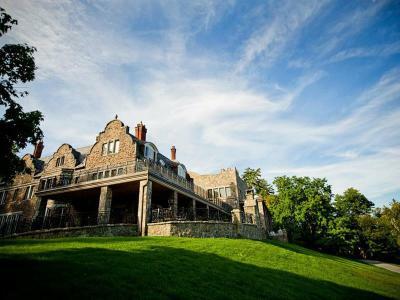 If you’re up for going all out, book Wapanak Castle, an over-the-top luxurious 2,000 sq. ft. lakefront lodge on the property perfect for hosting a group and toasting to a perfect sunset each night. The log cabin facade of the townhouses at the Crest Haven Lodges might look rustic, but as soon as you step inside the professionally decorated rooms, you know you’re not exactly roughing it. With fully equipped kitchens, entertainment centers and in-room washer/dryers, the rooms feel more like your own personal mountain chalet than bare-bones cabin. Still, while it might be tempting to hole up in your lakeside abode, there’s too much happening on the 11-acre property to stay idle for long. Get lost in a book on the resort’s private beach, play a game of bocce ball or sand volleyball, or enjoy dinner and a bonfire on the beach. Like many of the stone mansions found near the Queen of the Lakes,’ The Boathouse B&B was, for a long time, someone’s home. Its original owner, a decorated speedboat racer, used the property as a vacation home for many years. To this day, it has the warmth and familiarity of staying at a close friend’s gorgeous waterfront lake house, with the amenities of a sumptuous bed and breakfast. As the only true waterfront property on Lake George, you can’t get much closer to million dollar views, and it’s the perfect spot for a romantic couples’ retreat. Fuel up before a day on the water with a latte and house-made pastry at Caffe Vero. This cozy local spot has outdoor as well as indoor seating, so you could also enjoy your breakfast and beverage on the balcony. 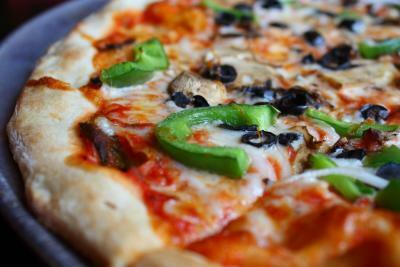 Contrary to its name, there’s nothing offensive about a New York-style pie from Pizza Jerks. This local favorite is probably best known for its pizza (and delicious garlic knots), but it’s also a great option for ordering subs and salads out on the beach. The folks at Barnsider have been bbq’ing for nearly 25 years, and the care they put into their cooking shows. Chow down on ribs, chicken and other house favorites slathered in a homemade sauce. With a newly expanded deck, you can also dine al fresco on warm summer nights. After a day expending energy out on the water, nothing satisfies quite like a local New York brew. It’s even better knowing it’s coming from about 30 feet from your restaurant table. With over 25 all-natural, unpasteurized ales produced on site, Adirondack Pub & Brewery delivers on the craft brew front. Still, this family-friendly spot also has a sizeable, kid-approved menu with options ranging from bar snacks to hearty salads, soups and mains. If you’re saddened by the prospects of having to drag your clan out of the lake at the end of the day to go to dinner, Lake George Steamboat Company offers an enticing alternative. Head onto one of their steamboats for a meal on the move. They offer everything from taco Tuesday to pasta Fridays and Sunday champagne brunch cruises. Family-friendly jaunts are not hard to come by in Lake George. Still, if you’ve exhausted the kids with a day out on the water and find yourself in the company of just one (an adult), head to Bistro Le Roux. Known for its romantic ambiance and inventive French and American bistro fare, you can chow down together on your surf and turf favorites. They also offer half and full portions, which make it an ideal bet the enjoying the dishes tapas-style. The Inn at Erlowest was, for a time, just another striking stone mansion built at the turn of the century along Millionaires Row. Today, it’s better known for its transformation into a chic inn with a 4-Diamond restaurant. With a focus on seasonal, farm to table fare, dining at the Inn at Erlowest is an intimate experience akin to being in a friend’s really fancy, and really historic home. Still that doesn’t mean you can expect exceptional service. From the wine pairings to the presentation, every meal here delivers. As a four-season state, New Yorkers and knowing guests rarely pass up an al fresco meal when presented with the opportunity. That might explain the perennial popularity of Pavilion, an open air seafood haven in Bolton Landing. As one of the eight restaurants nestled inside of the glamorous Sagamore Resort, The Pavilion delivers on food and views, which together, catapult the meal into something altogether difficult to pin, but noteworthy nonetheless: an experience. • Lake George is a 32-mile oligotrophic lake, meaning it doesn’t support much nutrient-dependent life and is very high in oxygen. It’s also a superb source of drinking water. • Cold water scuba diving in Lake George provides a glimpse of historical wrecks--including some boats dating back to the 1750’s! 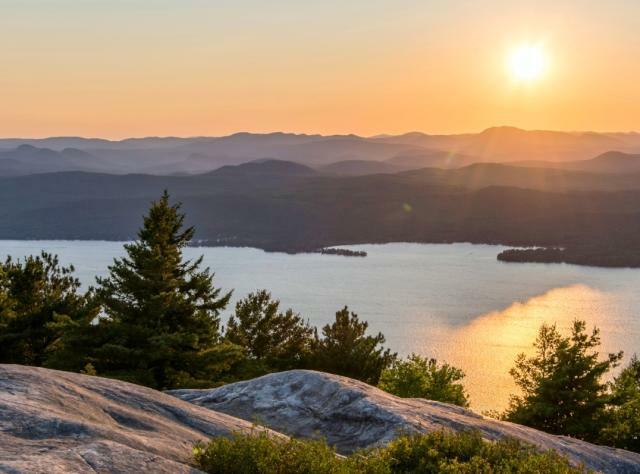 • The 6 million-acre Adirondack Park, which Lake George is part of, is larger than Yosemite, Yellowstone, the Grand Canyon, the Everglades and Great Smoky National Park combined. • Lake George is accessible via Amtrak with daily stops in Fort Edward, which is about a 20-minute drive. From Fort Edward, you can hail a taxi, rent a car, or call the Greater Glens Falls Transit System to inquire about their shuttle service. 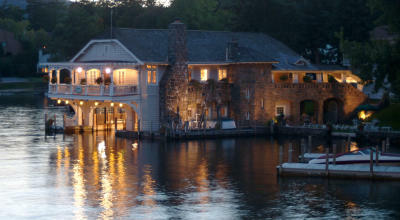 • From NYC and New Jersey: 1-87 N both provide easy access to Lake George in under 4 hours. • From Albany: Lake George is just under an hour north of Albany via 1-87 N, though cheap bus rides abound along the route. • From Buffalo: Lake George is under five hours east of Buffalo, accessible via 190-E. Buses also run between Buffalo and Lake George. • From Boston: Take I-90 W to enjoy Lake George in under four hours. • From Philadelphia: 5 hours via 87-S.
• From Montreal: 3 hours via 87-S, and also accessible via Amtrak off the Fort Edward stop. • Lake George is about 50 miles outside of Albany Airport, which offers car rentals and even some shuttle buses to local area hotels.